We accept new patient registrations on Mondays, Tuesdays, Wednesdays and Fridays 9am-5pm and Thursdays 9am-12pm. Please ensure documents are dated within the last 3 months. We will need you to fill in our registration form and a Summary Care Record preference form. The forms can be downloaded from our Downloads page and brought in with you when you come to register. Alternatively you can come into the practice and ask at our reception for these forms. You may be asked to book a Health Check appointment with one of our health care workers, if you are over 45 or if you have on-going health problems. We will contact you to let you know if you need to attend a health check as part of your registration. We offer full sexual health screening with our sexual health nurse. If you would like to access this service please mention this to one of the receptionists who will arrange an appointment for you. If you are taking medication at the moment, please bring evidence of that medication with you when you come to register. For example - your prescription repeat slip or the packing your medication came in. If you have any other evidence of your medical history, such as a record of vaccinations, it would also be helpful to bring this with you, as we will not receive your previous notes for some weeks. 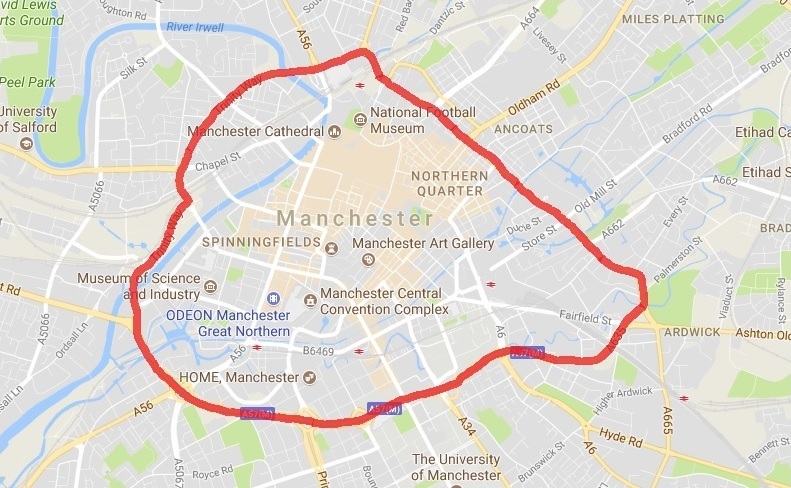 Our catchment area covers the area within the inner ring road surrounding Manchester City Centre. Enter your postcode here to check if your address is eligible. The Docs Surgery is currently part of the "out of area" registration scheme run by NHS England. This means we may, at the GPs' discretion, retain patients who would ordinarily fall outside of our catchment area, if they move out of our catchment area. You will need to let us know if you do wish to stay registered. Unfortunately at this time we have suspended registering new patients who live outside of our catchment area. ​The Summary Care Record is an electronic record that will be accessible to health care staff via a central system. It will provide health care staff with information such as medicines that you are taking, allergies and reactions to medicines etc. Please read the patient information on the Downloads page for more detailed information about Summary Care Records together with a form for you to opt in or opt out as you wish. Our system is now compatible with the Summary Care Record central spine and we are recording our patients' preference as to whether they would like to have an accessible Summary Care Record. If you would like to opt in or opt out of having a Summary Care Record please print the form, fill it in, sign it and return it to us, either by scanning and e-mailing or by post. Alternatively, you may collect the form from our reception. The Health and Social Care Act 2012 allows confidential data to be extracted from health care providers (e.g. GP surgeries) into the Health and Social Care Information Centre. The intention is to make use of increased clinical information with the aim of improving healthcare. While we at the Docs support the use of data for secondary uses we also recognise the importance of confidentiality. While we do not have a duty to obtain your consent prior to data extractions, we do have to let you know that this is going to happen and that you may object to the use of your confidential data for secondary purposes. Data that will be extracted includes date of birth, postcode, NHS number and gender, as well as selected clinical information. Data that will not be extracted includes your name, detailed address, and, at this time, “sensitive” records (such as sexually transmitted diseases and infections, terminations of pregnancy etc). Data will be held by the Health and Social Care Information Centre, and they may then pass it on, in limited circumstances, to other authorised bodies for research and information purposes. • Yes I am happy for my data to be extracted: you do not need to take any further action. Your data will be extracted automatically. I am happy for my data to be extracted by HSCIC but I do not want them to send it to any other organisations. If your answer is “no”, please complete an opt out form which can be downloaded from out Downloads page and return it to the Docs Surgery, where your decision will be recorded in your medical records. You can change your mind at any time by informing us.